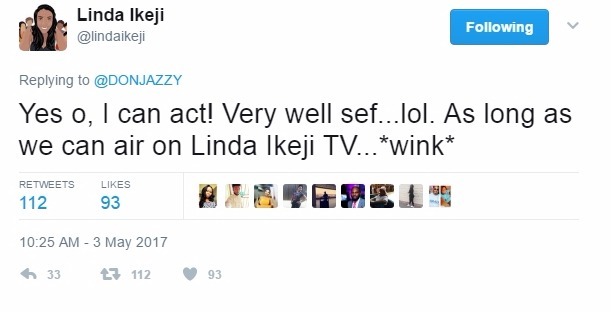 Earlier today, Banky W and Adesua Etomi's beautiful story made Mavin boss, Donjazzy take a shot at Linda Ikeji. He took to his Twitter account to indirectly ask her to marry him!.. 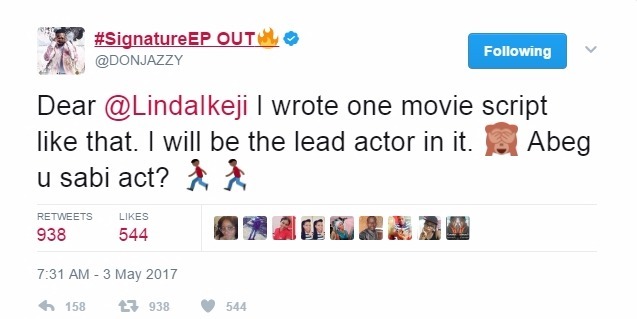 0 Response to "'Yes o, I can act!' 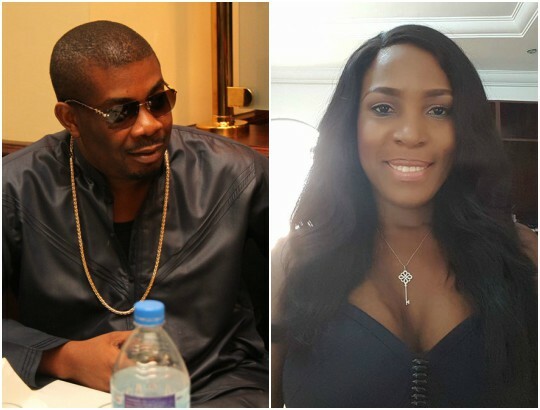 - Linda Ikeji replies Don Jazzy's proposal"